High Value $3/1 Huggies Diapers coupon! Printable diaper coupons are RARE especially high value ones like the $3.00 off ONE (1) HUGGIES Snug & Dry Diapers coupon that is currently available! HURRY to print this one, I don’t think it will be around for long! Coffee just $1 per bag + FREE Silver Coffee Scoop + FREE 2 Day Shipping!! Here’s an awesome deal – Get 2 Bags of Amora Coffee + a Silver plated Coffee Scoop for just $2 + FREE 2 day Shipping! This would make a great Holiday gift and their coffee is delicious!! Plus by signing up for FREE you get 20% OFF a clothing purchase! Enter your email & birth month! Thanks Spend With Pennies & Cents Less Deals! 6 coupons with NO size restrictions = FREE! Walmart’s website has some HOT new Unilever brand manufacturer coupons! NOTE: All of these coupons print together just by printing the 1st coupon you see. There are NO size restrictions but do state “limit one coupon per purchase and maximum of 2 identical coupons allowed in same shopping trip”. Buy 1 Playtex Bottle get 2 pack of Pacifiers FREE! Totsy‘s Blowout Sales are back! Prices start at just $1.50!!! They have Clothing, Shoes, and Houseware sales all at up to 90% OFF! And Children Slippers for just $4.25 Adult Slippers for just $5!! Thanks Hip2Save & Cents Less Deals! RARE International Delights Iced Coffee coupon! 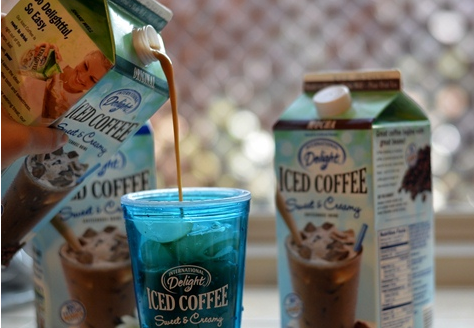 There is a RARE printable $1.00 off International Delight Iced Coffee coupon! 2 Bags of Coffee + Silver Coffee Scoop = $2 + FREE Shipping! Here’s an awesome deal – Get 2 Bags of Amora Coffee + a Silver plated Coffee Scoop for just $2 + FREE 2 day Shipping!! This would make a great gift and the coffee is delicious!! 2 FREE Dry Idea Deodorants! Get 2 FREE Dry Idea Deodorants at CVS starting on November 4th. Cute Winter Slippers $5 + FREE Shipping! 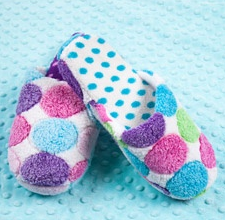 Winter is appraching and there is already a SALE on Slippers for just $5.00 a pair!